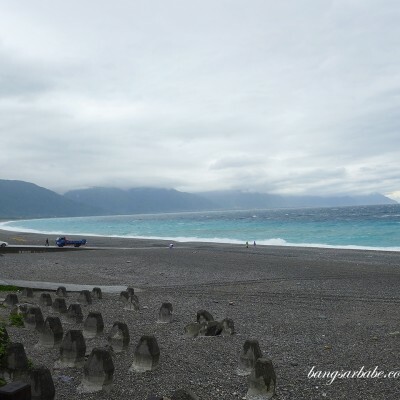 Once upon a time, there was a group of bloggers who went to a Japanese restaurant for a supposed lunch review. Thinking that everything was going to be free, they went on an ordering spree. Tuna cheeks, tuna belly, sashimi boat … you get the picture. But what these blogger didn’t know was, it wasn’t an invited review. It was simply an invitation to check out the restaurant. 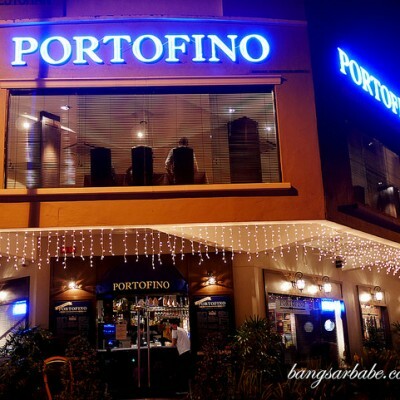 The bill came up to almost RM2,000 – each of them had to fork out RM300 or so. The moral of the story? Even if it’s an invited review, don’t be so greedy and order all the premium items. 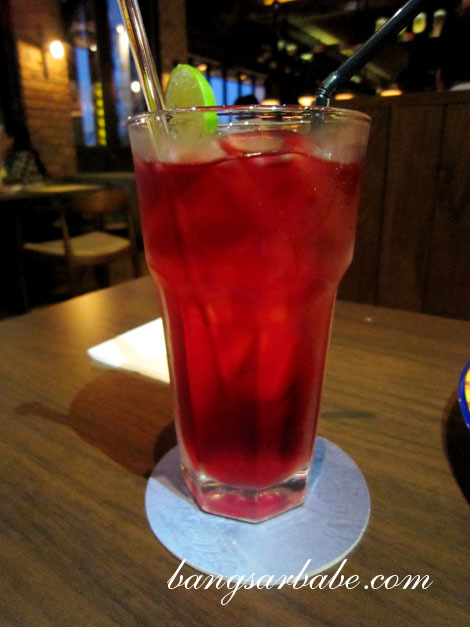 Fresca at The Gardens is one of the newest Mexican places in town and I’ve heard good things about it. rif and I had dinner there recently and we found the food to be quite decent and prices are reasonable. Some of the portions however, were on the small side. 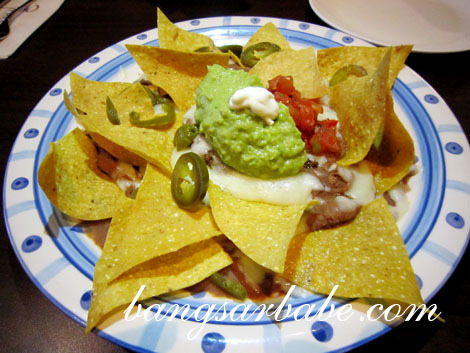 The Nachos Grande (RM27) was a smallish portion of chips with refried beans, Monterey Jack cheese, ground beef, jalapeno chilli, guacamole and sour cream. This was a good munch while waiting for our mains, but for RM27, I expected a slightly bigger portion. If you’re still feeling peckish, they also have nachos (RM5) as a side order. The Mexican Burger (RM28) was new on the menu and I added a sunny side up (RM3) and cheese (RM4) onto it. This was pretty good. The beef patty was thick and cooked till the centre is juicy. And the jalapeno chilli gave an extra ‘oomph’ each time I bit into the burger. Good stuff! 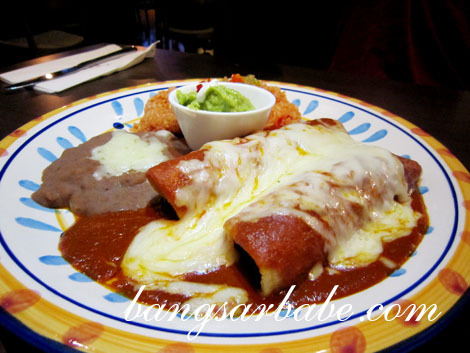 rif’s Enchiladas Rojas (RM28 – chicken) was a cheesy mess, and I mean that in a good way. 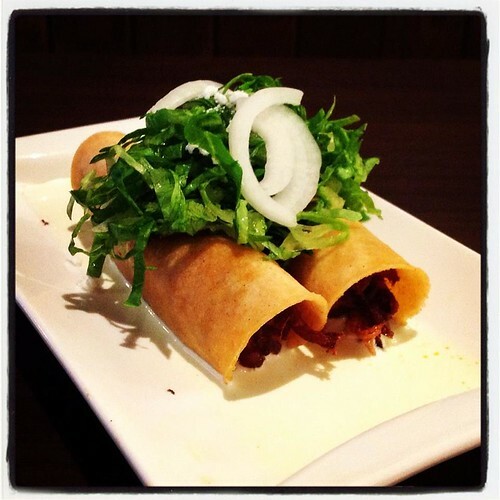 The tortilla rolls were well presented and covered with a thick layer of melted cheese. The sight of gooey cheese is foodporn enough for me. 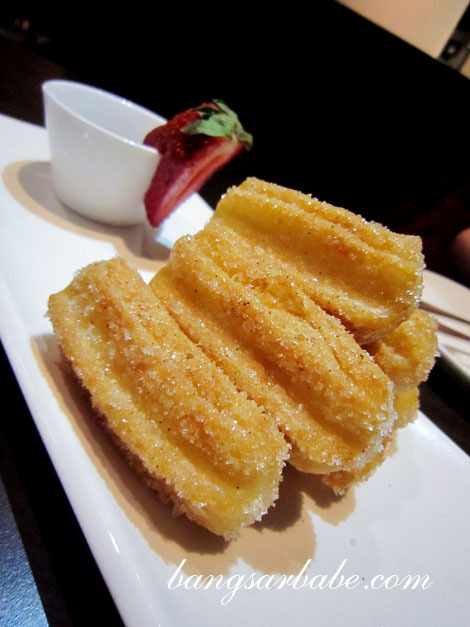 I don’t know what’s with my man’s obsession with churros; they taste like donuts to me. Then again, he’s pretty obsessed with Homer Simpson when he was a kid. I just hope he doesn’t look like Homer when he’s older. 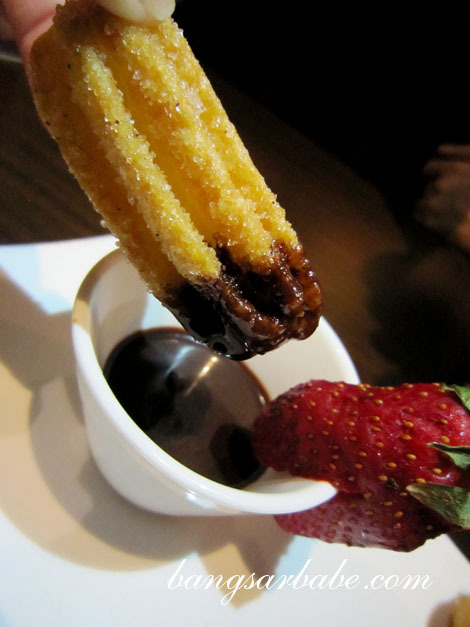 Fresca’s Churros con Chocolat (RM13) came rolled with cinnamon and sugar, and served with chocolate sauce. I loved that it wasn’t too sweet, and the chocolate sauce smoothly coated these little treats. On a subsequent visit, I ordered my usual Mexican burger and a portion of tacos (RM15). This was puny; each taco was the size of my two fingers combined. I also found the chicken filling dry and chewy. Verdict: Pretty decent food and fairly attentive service. Ha ha! I was there this week on Tuesday after doing some training at Gardens. My colleague ‘N’ discovered the Tuesday night ladies cocktails and said exactly the same thing! The food looks awesome – can’t wait to try it! Yeah, burger is not bad. But after tambah telur and cheese, it was RM35. Still ok la…for The Gardens. RM2000 for 7 of you? Wow, quite expensive! Mexican food(the cheese) will make Rif turn into Homer,lol!!! I wasn’t at the Japanese review. I was just conveying a story I heard not too long ago. But RM2,000 for 6 people is to be expected…when you order tuna belly and assorted sashimi. Let’s just say they got too greedy. And they paid the price. 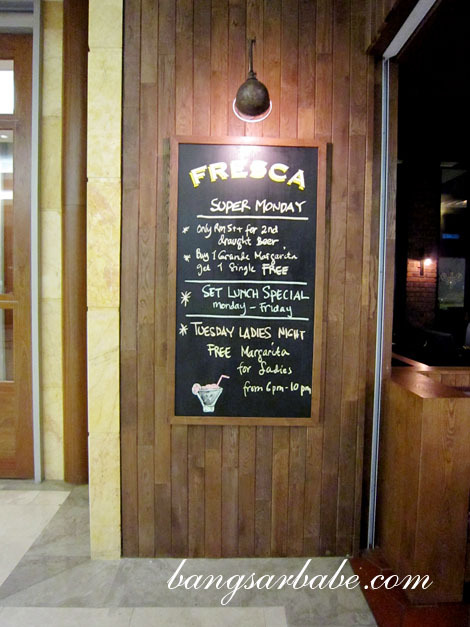 Dinner at Fresca was RM110 for rif and I. 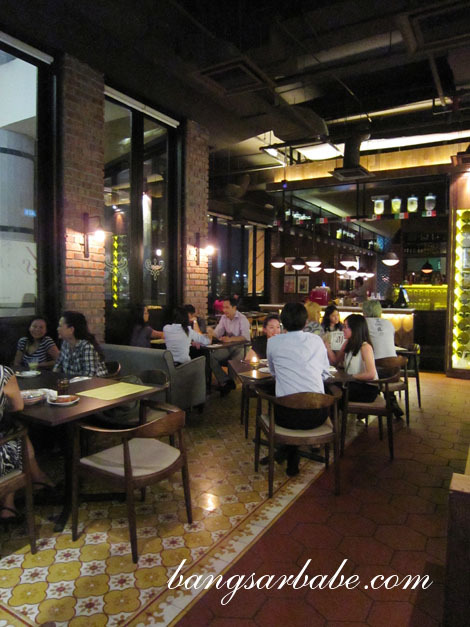 “Even if it’s an invited review, don’t be so greedy and order all the premium items.” – QFT! LOL! 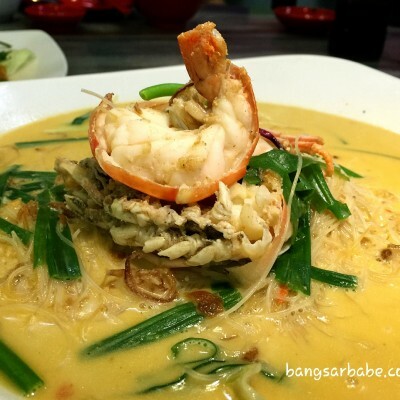 Anyway, this restaurant has somehow skipped under my radar even though I go to The Gardens/Mid Valley quite often. Gotta try them out soon! I heard their fajitas are better than TGIF / Chilis. 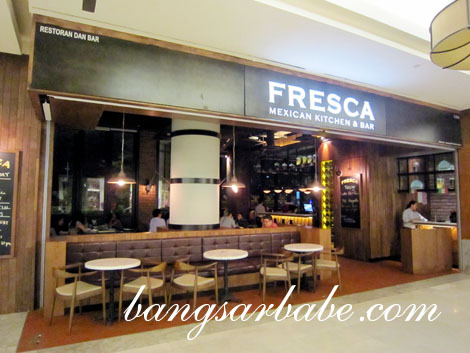 Food at Fresca is pretty decent, but portions might disappoint you if you’re a big eater. 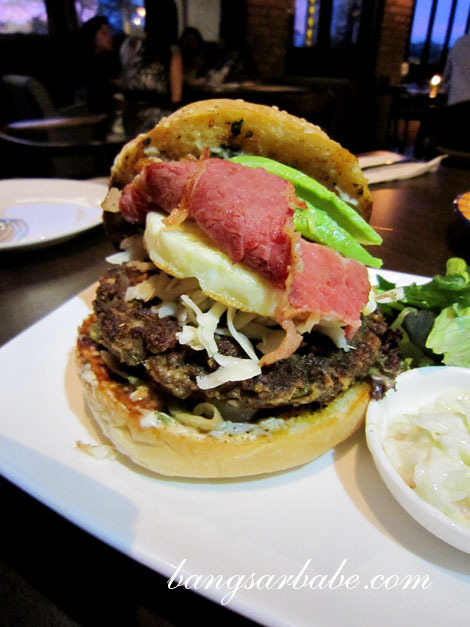 premium burger’s pretty much the new bubble tea/donuts now isn’t it? Not yet try. I’m not longer based in KL…remember? Total bill = RM2,000..Eyes blink once…then twice!! Hmmm….guess they will feel quite paiseh..
“I just hope he doesn’t look like Homer when he’s older. ” —> LOL!!! hows the tuesday ladies night promotion like? 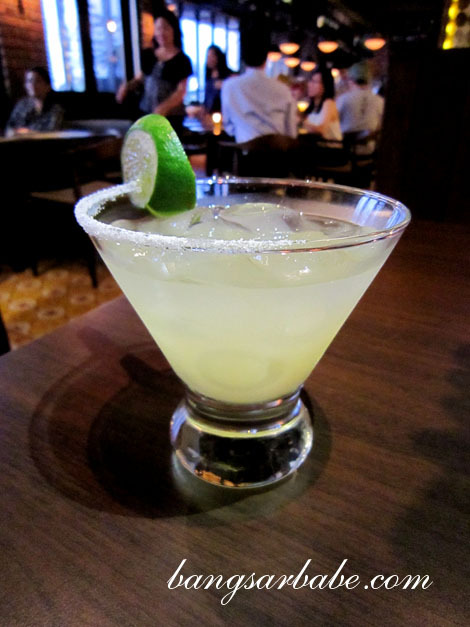 Free flow margarita for ladies from 6-10pm.